It seems that the cereal industry has lost ground in the battle for breakfast and it looking for alternative meals, but when I spotted this headline on the front cover of a neighbor’s Wall Street Journal last week - Pitching Cereal for Dinner and Late Nights - I thought, what else is new? When Mike and I were first married we were offered all sorts of advice and well wishes for a happy life together. Among the sprinkling of philosophical guidance and funny anecdotes was one particular pearl of wisdom for Mike. My close friend and longest reigning roommate, Kate had a more practical tip for maintaining marital bliss with yours truly: always keep the cereal cabinet well-stocked and fresh milk in the fridge. There you have it. I grew up eating cereal most mornings except sometimes on weekends when my mom would make a ‘big breakfast’ of pancakes or eggs. Over time it migrated from mornings to become my stand-in for anytime I’m hungry – a trend that continues today. In my world ‘breakfast cereal’ is a misnomer since I can and do eat cereal at all hours. Back home after a long trip, too hot to cook, in need a light snack, or utterly starving? 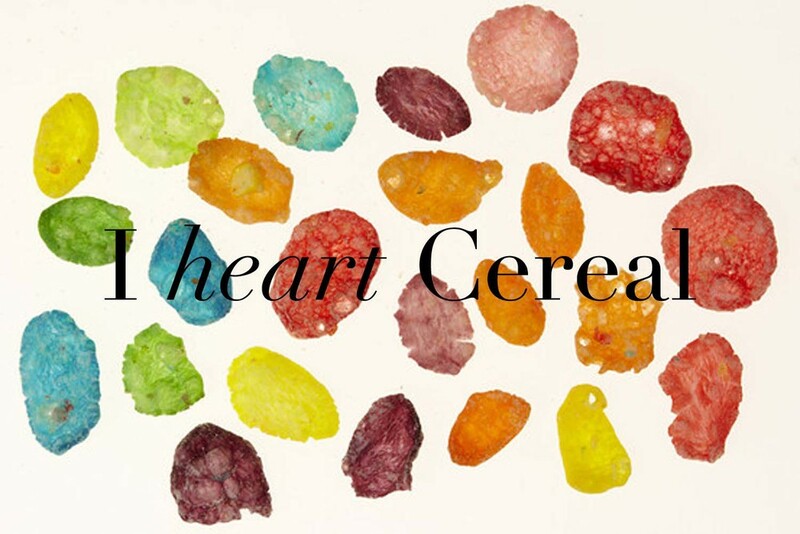 The answer is always to have a bowl of cereal. It’s my comfort food. I may have become slightly addicted. Now, frankly, I just don’t feel like my day has started or ended correctly without it. I’ve done my part as a loyal customer for more than 30 years. As long as you continue to produce fine products like Smart Start, Honey Nut Cheerios, Grape Nuts, and Go Lean Crunch (the berry kind), and barring some sort of terrible gluten or dairy allergy befalling me, we're in this together! PS: I also love Froot Loops, but feel awkward buying them when they are clearly for me and I am clearly over the age of 7. Is it just me, or is rosé having kind of a moment right now? I swear every magazine, Pinterest board, and Instagram account is full of glasses tinted pink. I know it’s a classic ‘summer wine,’ but it seems particularly in fashion this year. 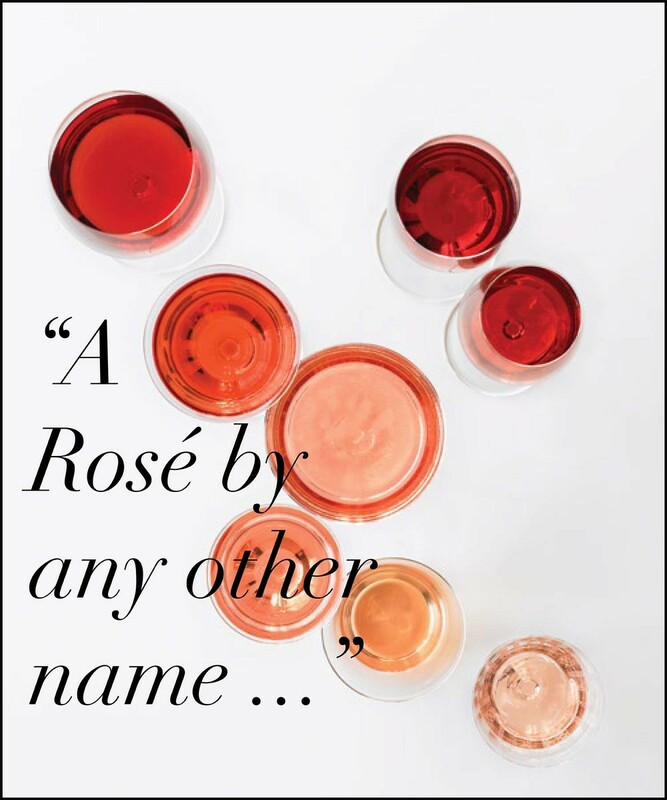 I’ve been fully on board the rosé bandwagon for a while now, so you won’t catch me complaining about its presence on more wine lists and any restaurant that stocks Fritz-Hasselbach Fritz's Rosé 2013 will get double points in my book. Our latest Plonk shipment included a bottle and my love for rosé was never more rewarded than after my first taste. Pale blush to deep cherry it all looks delicious to me, but Fritz’s version is particularly bright and tangy with raspberry notes. I’m sort of embarrassed, but mostly feeling a pleasant sense of anticipation that I’ve already called ‘dibs’ on the last glass. I’m biding my time, waiting for the right moment to enjoy it and planning to pick-up a few more bottles to enjoy over the next few months…. Fritz would be a great addition to any barbeque or late afternoon on the porch. While some rosés, like my friend Fritz, can stand on their own while others need a little help. Enter a welcome rescuer: sangria. I came across this recipe for a Rosé Cucumber Cooler, which involves even more of my favorite flavors – St. Germaine, lemon, and cucumber – I immediately added it to my list of warm weather mixed drinks. Big plans for this coming weekend…hope you have some fun things on the rosy pink horizon too! I came across this article from Lonny Magazine last week and the title made me laugh. A fait accompli, assumed to be true because who wouldn’t want to live in one of the homes created for a Nancy Meyers film? Most of them seem to be spacious, beautifully decorated, and located in picture-perfect locations. Lonny and I are in good company when it comes to admiring them; Architectural Digest, Elle DÉCOR, and Traditional Home along with countless bloggers have done posts on Meyers’s design taste. Honestly, it seems like there’s more excitement about the set decoration than the plot of her upcoming movies, The Intern and Chelsea Hotel. The seed must have been planted because this weekend I felt compelled to watch Something’s Gotta Give. 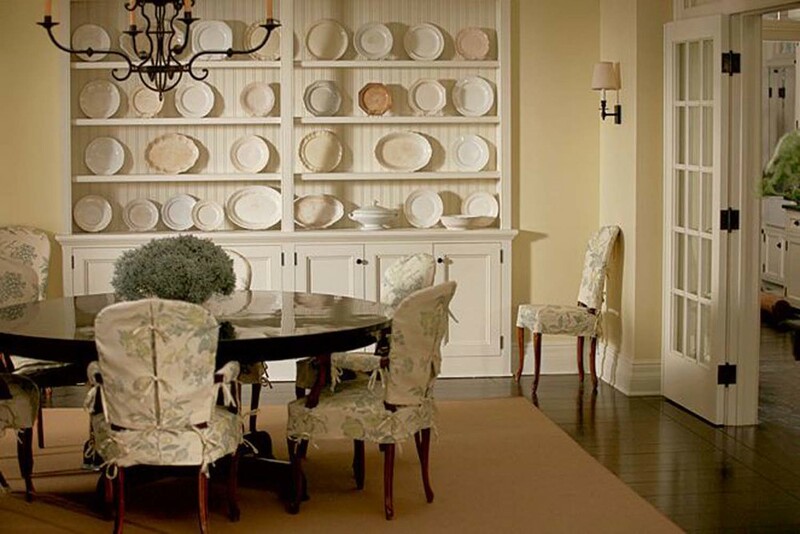 Since then I’ve been thinking about why Nancy Meyers’s movies and their story-specific interiors are so appealing to me? Why are some of the earliest images I ever pinned stills of the interiors from It’s Complicated? What is it that makes so many people swoon for her decorating style? My theory has a few elements but the crux of the argument is that her ‘homes’ are the perfect balance of the ideal with the real. They seem attainable, earthy, and real. It’s easy to imagine re-creating that welcoming, casual vibe in our own homes with just some simple white paint, pale blue slipcovers, and sisal rugs. At the same time, her movies and their gorgeous sets give us, the humble viewer, a mental vacation. She takes us to the aforementioned picture-perfect locations where linen pants never get wrinkled, pancakes are the go-to late night snack, and Keanu Reeves is an ER doctor who makes house calls. I think that’s what makes her movies and her sets so appealing – the simplicity of the good life distilled into two hours with just enough reality to keep us dreaming. Every season, whether we’re leading into the crisp days of fall or the golden days of summer, I go on a shoe hunt. Usually I have something specific in mind; it might be for the perfect pair of brown riding boots, an streamlined black ballet flat, or in this case a summery slip-on. So, lately I've been cluttering up my Pinterest feed with options I think might work. 2. Comfortable like a sneaker, but with the ease of a flip flop. 3. Something I can throw on at a moment’s notice for a quick trip to the bodega or plan to wear all day with no underlying worry that I might regret the decision later when my toes are pinched beyond tolerance. None of these requirements seems especially outlandish or excessive, right? But, mix in the fact that my feet have very high standards and the challenge becomes a little more, well, challenging. Because my feet are finicky and high maintenance – like a pop-diva with a 14 page tour rider – the shoe hunting process leads to a rotating cast of boxes from all manner of online shoe emporiums. Thank goodness for free shipping or I might singlehandedly be keeping UPS in business. After much research – ie. skimming through pages and pages of options – I’ve narrowed the choices down to my top three slip-on candidates: canvas skateboarding kicks, espadrilles, and boat shoes (which were later inexplicably vetoed by Mike). After trying on several of each and factoring the opinions of husbands and friends, I’ve decided on the Vans in washed coral. They check the box on wear-ability, are super comfortable, definitely ‘go’ with my causal summer wardrobe of capris, shorts, and now thanks to the whims of Fashion – Tom Sawyer styled jeans. Extra bonus: Vans is making them in lots of fun colors and patterns – because if I’m not going with a neutral I may as well draw as much attention to my shoes as possible, right? What are your thoughts on summer shoes? Do you have a go-to style or favorite pair that never let you down?